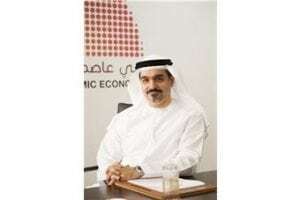 DUBAI — The Dubai Islamic Economy Development Centre (DIEDC) has announced that the fourth edition of the Global Islamic Economy Summit (GIES) will be held 30-31 October 2018, under the aegis of Sheikh Mohammed Bin Rashid Al Maktoum, vice president and prime minister of the UAE and ruler of Dubai. To be hosted in collaboration with Dubai Chamber of Commerce and Industry (Dubai Chamber), the summit will focus on mechanisms that enhance communication between decision makers, investors, and Islamic economy stakeholders across sectors, markets and geographical locations. The industry event is a platform for creative minds to share innovative ideas, stimulating cross-sector growth and aligning with policies and legislations to further accelerate growth. The upcoming fourth edition of the summit will discuss how traditional companies can utilise technologies to communicate with consumers, thereby driving demand and further boosting competition in the advent of the Fourth Industrial Revolution. Al Mansouri added: “Our responsibility is to enhance the role of the UAE, and Dubai, in attracting those interested in the principles and ethics of Islamic economy, and forge new channels for communication and collaboration. The alliance will grow Islamic economy sectors globally to serve sustainable development goals, and achieve prosperity and stability for all societies. Majid Saif Al Ghurair, chairman of Dubai Chamber of Commerce and Industry and board member of the Dubai Islamic Economy Development Centre, said: “GIES 2018 serves an ideal platform to explore the future of the global Islamic economy as it convenes stakeholders and leading industry experts from around the world to directly address key challenges and opportunities facing businesses in this sector. The fourth edition of the summit will build on the progress that we have achieved over the years, and carry forward crucial conversations about the state of the global Islamic economy. Essa Kazim, secretary general of the Dubai Islamic Economy Development Centre, said: “The fourth edition of the Global Islamic Economy Summit will spotlight our efforts in developing sharia-compliant economic mechanisms, attracting global partnerships to Islamic economic sectors, and establishing Dubai as the global capital of Islamic economy. Since Sheikh Mohammed Bin Rashid Al Maktoum launched the Dubai: Capital of Islamic Economy initiative, we have succeeded in establishing the emirate’s credibility as a leading hub in various Islamic economy sectors, stimulating investments that factor in the requirements of development by promoting a culture of responsible investments and ethical economics. For his part, Abdulla Mohammed Al Awar, chief executive officer of the Dubai Islamic Economy Development Centre, said: “Every edition of the Global Islamic Economy Summit has focused on specifics of an Islamic economy to further broaden an understanding of the sector. The first edition in 2013 introduced a comprehensive definition of the Islamic economy sectors, and raised awareness of its importance to manufacturers and consumers alike. In the second year, we sought to highlight the significance of standards and laws governing the activities of Islamic economy in order to expand its influence and attract new global players to its sectors. The third round of the summit focused on the importance of the Islamic economy ecosystem in contributing to the sustainable development goals, and the need to leverage technology to ensure a real and lasting impact from the finance and investment tools used.